This March the 2010 Adelaide Festival will host a world premiere by acclaimed contemporary company Leigh Warren and Dancers. 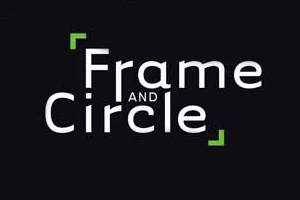 A masterful new two-part production, Frame and Circle is a collaboration between Artistic Director Leigh Warren and creative talent Prue Lang. 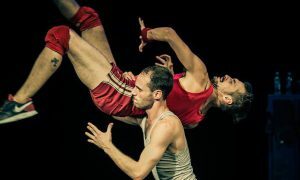 The production marks a home‐coming for Paris‐based Lang and is the first time the two award‐winning choreographers have worked in a program together. 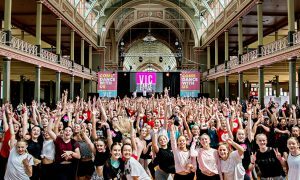 When asked if she was excited to return to Australia and work with LWD Prue exclaimed “Absolutely, I can’t wait to get started!” In the lead up to working with the dancers Prue shared her anticipation. 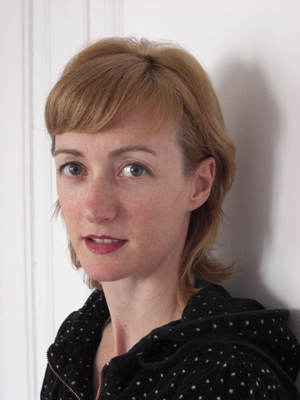 “I’m very excited about meeting the dancers and introducing them to a new kind of choreographic research. I will bring my own physical modalities that I hope will inspire and challenge them, so as to create together a work of great quality and complexity”. The work Prue is referring to is called Rubicon, which together with Leigh Warren’s new work Meridian, create the program for Frame and Circle. So what can audiences expect from Rubicon? “A translucent choreographic system that allows the spectator to be immersed in the performance while simultaneously understanding the work’s structure”, Prue explains. For Rubicon Prue explores the framework within which games (be they sporting or board games) are played. 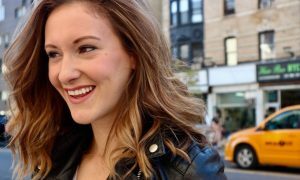 “Hidden networks, Rubik’s cube algorithms, dual realities, game theories and hypnotism are driving my creative process right now”, she shares. “Each has an inherent logic that can be experienced or played out. I’m interested in the relation between projection and action and the consequences of their interaction”. An internationally celebrated dancer in her own right, Lang is also the creative force behind some of the most ambitious choreographic works currently being made in Europe. 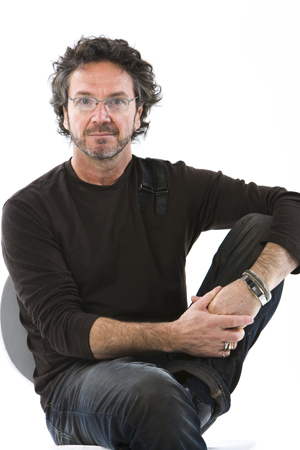 Born in Melbourne, Lang was invited to France in 1996 to join Compagnie L’Esquisse and later joined Forsythe’s revolutionary Frankfurt Ballet (1999–2004). Over the past five years she has created numerous critically acclaimed productions including the multi‐award winning performance‐installation Infinite Temporal Series (2006). So how has this time in Europe shaped her choreography? “The context in which I’ve been creating has been fertile and inspiring”, Prue shares. “There are over 600 choreographers in France alone so there is a lot of room for diversity and experimentation in dance. I had the chance to collaborate with great choreographers, visual artists, architects and dramaturges that have all proposed challenging questions. I have also seen a great number of performances and exhibitions that have influenced the way I think about my art”. With such experience, it is no wonder that Leigh Warren chose to partner with Lang to create a groundbreaking work for the company. “Prue brings a wealth of experience and sophisticated practise to us”, Leigh shared. “Her approaches and methodology to working will be a wonderful development for the dancers. Her vision as a choreographer will be fresh and challenging while related in background to my own work, quite different in its evolution for our audiences”. With some connections in their career paths through working with William Forsythe, Leigh Warren knows that Lang will work well with his dancers. “Prue was just the most wonderful dancer and still is! Her physical ability and her intellectual ability to develop concepts and research new avenues of movement to connect with her ideas makes her a perfect choreographer for the company to create with”. But Lang’s work isn’t the only number in the program. Leigh’s own new work, Meridian, will premiere also. Meridian sees Warren explore the links between his dancers’ innate sense of balance and the symbolism of the circle as it transcends space and time. “The inspiration for Meridian has been a long time unfolding. It grew from many thoughts I have had about the Middle East and how the circle of existence from birth to death is still so condensed”. So what kind of work will Meridian be? “Audiences can expect a very dramatic work”, Leigh shares. “The stark minimalism and purity of the white circle floor space with the dancers cutting through intersecting arcs of light will create a world of balanced tensions. Meridan will be a very strenuous physical work that places the body at the centre of our experiences”. Undoubtedly an exciting challenge for Leigh’s talented dancers, Frame and Circle will surely be a hit with contemporary audiences. 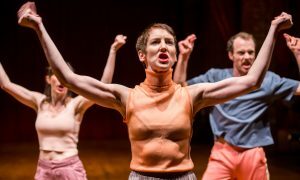 “The premiere in the Adelaide Festival will be very exciting and it’s at such events that the company will galvanise to produce something new that stretches the company artistically”, says Leigh. But before they can tour, they need to enjoy a hit Adelaide season. With an eager artistic audience in South Australia the work is sure to be well received and a highlight of the Adelaide Festival program. Make sure you get your tickets!